Stop following Gary Vaynerchuk Today! I want you to Stop following Gary Vaynerchuk TODAY! So many people want to be where Gary Vaynerchuk is today, not realizing where Gary Vaynerchuk has been or what he has done to get to where he is today. Gary is without any doubt, in my mind, an amazing business man and a man of great abundance. He speaks from his heart and he holds no punches. I appreciate that and totally dig his style. He is certainly a man worth emulating. Here’s the problem. You’re trying to follow who Gary Vaynerchuk is today. 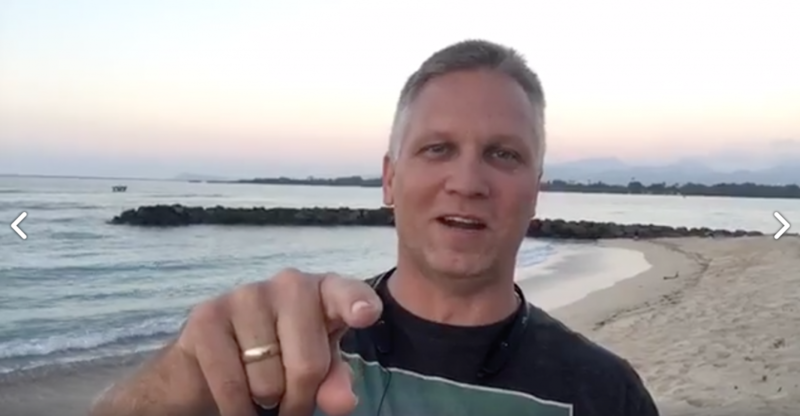 Now, if you already own a multimillion dollar business and you want to take your business to the next level, Gary is certainly a man to listen to today. However, if you’re just getting started on your entrepreneur journey and making less than $200,000 a year, you have no business following what Gary is doing today. Sure, you can listen to his words and pay close attention to his advice. But stop trying to be Gary Vaynerchuk today and start working on being 2006 Gary Vaynerchuk or earlier. In 2006, Gary launched what he believes to be the very first Wine Library video show on YouTube. But even before that, Gary was buying used items from yard sales and selling them on eBay. In fact, he still does this just to prove it can still be done. Gary Vaynerchuk is just the man I used in todays example. But you can fill in who ever you’re trying to emulate. No matter the industry, if you’re trying to be like the person at the top of that industry, I commend you for it. I’m simply asking you to proceed with caution. Because what usually happens is, you think you’re working or hustling as hard as that person at the top, failing to realize that person has been at it for 10, 15, 20+ years. People at the top did not get there overnight. And neither will you. People at the top experienced many obstacles and learning experiences (some refer to this as failures). You must experience similar obstacles. Of course you can avoid some obstacles by following those you want to be like. But you will miss those experiences if you skip ahead and start following them where they are today. Look, I want you to live your life of abundance. I want to see you push through the tough parts or your journey. That’s where growth and learning happens. Follow whoever you like and resinate with. But follow them from a place closer to where you are today. BTW, if you would like to hear me have a conversation with Gary Vaynerchuk, hit him up on Twitter, Facebook, YouTube, SnapChat and give him my name and mention Men of Abundance. I would love to have that conversation. Subscribe to Men of Abundance so you don’t miss our upcoming episodes. Roger, will do buddy!! You always recommend excellent books! Great perspective Wally. These are some of the subjects I plan on writing this year as contributions.